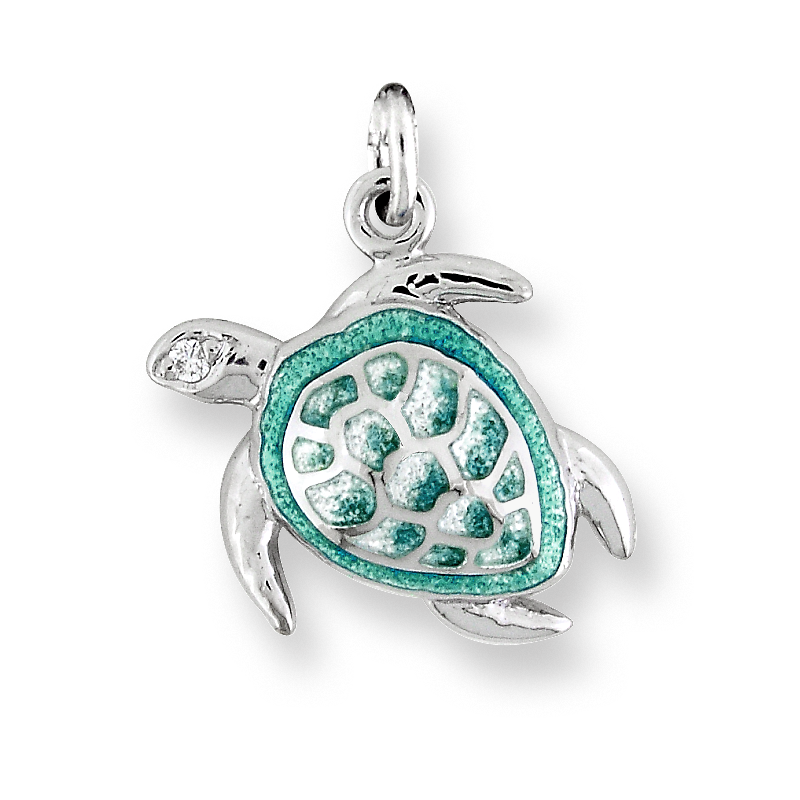 Morrison Jewelers: Nicole Barr Designs Sterling Silver Sea Turtle Charm-Green. Diamonds. Sterling Silver Sea Turtle Charm-Green. Diamonds. Nicole Barr Designs Sterling Silver Sea Turtle Charm-Green. Diamonds. Vitreous Enamel on Sterling Silver Sea Turtle Charm-Green. Set with Diamonds. Rhodium Plated for easy care. Gift Boxed.